Fifteen-year old Anna is a "Forces" child. Her dad, in the army, has been stationed in Bahrain. Now, after spending summer vacation with her family, Anna is traveling back to her English boarding school. The year is 1970 and hijackings have been in the news. 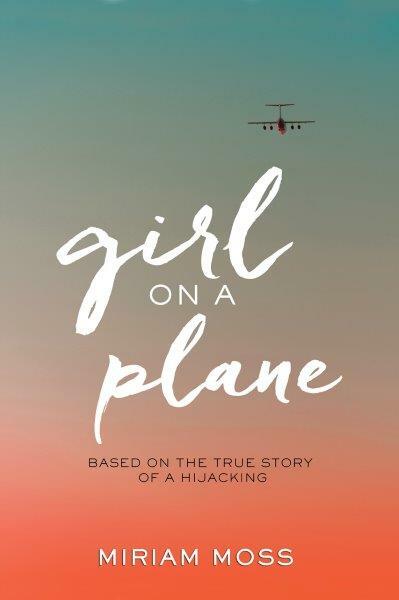 Anna is worried that her plane might be hijacked, but her mom assures her that it hardly happens. At the gate, mom gives her one last hug, telling Anna to "stay safe". Anna walks across the tarmac to the waiting plane. It is 10:30 am and she's thinking of the seven-hour flight to London. Anna's not the only kid on the plane; plenty of other military dependents are heading home to schools. The boy next to her is carrying his treasured terrapin in a tin. Another, older boy sits nearby. Mothers with children are heading home. Then a man with a gun in his hand screams at everyone to sit down. The plane has hijacked by the Palestinian Liberation Front. They will land in Jordan, he says. On the "Revolutionary Airstrip" somewhere in the desert. They are hostages. As noted on the cover, this book is based on the true story of a hijacking. Miriam Moss was a passenger on that plane, heading home to boarding school in the UK. But this is a work of fiction, she emphasizes in her notes at the back of the book. Yes! There is Back Matter! (you know I love back matter, especially in historical fiction novels). Moss writes about her search for the Revolutionary Airstrip and her journey back to Jordan to visit the site where she spent three hot days as a hostage. She also answers questions about which parts of the story are true, and which are fictional. You can read an excerpt from the first chapter here. You can read more about the hijackings here and watch a video about the events here. Review copy provided by the publisher. Mercer Buddie wants two things in life: a girlfriend, and the chance to show his father that he is serious about becoming an apprentice falconer. But on the day he and his master-falconer dad set out to capture a juvenile Red-tailed hawk, 14-year old Mercer screws up. He had one job to do: remember the mouse. Time is ticking as they stop by a pet store to get a replacement mouse - bait for the trap that will humanely snare the hawk (and allow the mouse to be released into the woods). Will the hawk still be there when Mercer and his dad and brother arrive? And how long does it take to buy a mouse anyway? Turns out - when the girl of your dreams is in the pet store - it can take too long. Mercer tries to keep his hawk (named Flip) and his dad's rehabilitation center secret, but eventually the two worlds collide. When HALT members vandalize the center and release the birds, Mercer realizes he needs to take responsibility and do what's right. I love the tidbits of falconry history and lore scattered throughout the book - like that people have been hunting with falcons since 2,000 BC! I loved the description of the mews, and crafting the hoods and leashes, and the training that Mercer and Flip shared. Sally: What inspired this story? Kym: I went to a dinner show at Medieval Times, and near the end they had a falconry demonstration. I remember thinking, Wow! I never knew you could train a hawk to fly around and come back to you on command! I came up with the idea of a time-travel story of a modern kid going back into medieval times - and then found out I'd have to do a ton of research for medieval times AND for falconry. Eeek! So.... I decided to write a contemporary story about falconry. Sally: You have so much authenticity in the story. What kind of research did you do? Kym: I knew I wanted a story that revolved around falconry, but wasn't sure what the plot would be. So I took falconry lessons - six or more seven-hour apprentice lessons at SOAR (Save Our American Raptors). The master falconer told us a story about how they were once scheduled to do a demonstration at a forest preserve and animals rights demonstrators showed up. They made so much noise that the falconers had to cancel the event. When I asked about going on a hunt with a group of falconers, the SOAR leaders (George and Bernadette Richter) connected me to Troy, a falconer who lived in my neighborhood. Troy was extraordinarily helpful. He let me study his mews, and go on a couple hunts. Later, he read my manuscript to check for accuracy. If I had one wish it would be that I could convey how dedicated falconers are to these majestic birds, and how fragile the relationship is between bird and prey. There are no guarantees; may the best bird - or prey - win. Sally: I love the "Romeo/Juliet" aspect of the story. How did that evolve over the writing? Kym: At first I thought about having a random group of protesters mess things up for Mercer and his family. But then a wonderful "what if..." question popped into my mind. What if, instead of being a random protester, the ones responsible for causing grief to Mercer's family business ended up being the parents of the girl he was hot for? The more I thought about it, the more I realized what a quandary that would be. I once dated a guy in high school who had a motorcycle - something my parents had forbidden me to ride. But this guy was cute and mysterious... so we met at the end of the block so my parents wouldn't know that he had a bike. 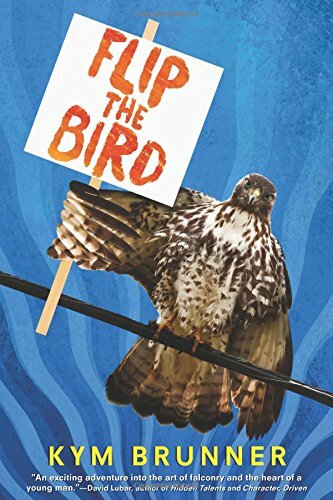 I think being in love can override a lot of rational thought... and that's exactly the turmoil I hoped to portray in Flip the Bird. the North American Falconers Association. I'm always on the lookout for some goodnight stories, and these new books are a perfect fit. The soft textures of the illustrations in this reverse counting book feel so cozy - they just want to make you curl up with a cup of cocoa and pull on a fluffy quilt. First lines: What do you do to get ready for bed? Do you brush your teeth? Have a story read? 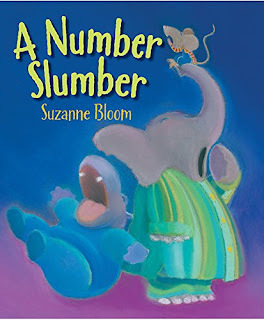 What I like about this book: Suzanne Bloom gives us the inside scoop on things other sleepyheads do before bed. In alliteration...."Ten terribly tired tigers tiptoe to their beds" ... and rhyme. "Nine normally nimble newts rest their sleepy heads." What fun! I promise you will be yaw-aw-awning by the end of the book. First lines: When I've munched and crunched my last three carrots (except for one I fed to Jasper), Mom takes my plate. "It's been a good day," she says. What I like about this book: The kid is NOT ready to go to bed. First, dishes have to be washed. It is not time for sleeping. Then it's time for a bath. Then pj's.... in a cumulative fashion the kid enumerates the things that must happen before it is time for sleeping. Create some alliterative lines about sleepy-head animals that are ready to go to bed. Maybe cats, or teddy bears, or dogs, or sheep.... or unusual animals that live in your back yard or in the garden. Alliteration is when the words begin with the same sound. What are the "things that have to happen" before you are ready for sleeping? 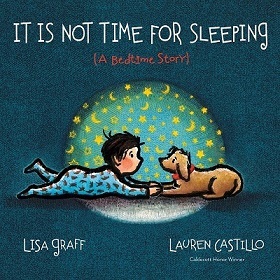 Read a goodnight story to your dog or cat, or maybe a grandparent. Find some goodnight poems to say before bedtime. One favorite is Star light, star bright / First star I see tonight / I wish I may, I wish I might / Have the wish I wish tonight. 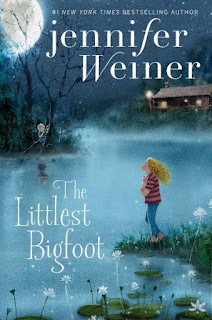 Today we're joining PPBF (perfect picture book Friday), where bloggers share great picture books at Susanna Leonard Hill's site. She keeps an ever-growing list of Perfect Picture Books. Review copies from publishers. Twelve-year-old Alice doesn't fit it . She's big, ungainly, and her hair is wild and sproingy - no matter how many clips or scrunchies she uses to tame it. Now she's been shipped her off to her eighth boarding school in as many years. This one's an experimental school in Upstate New York, a converted campground where hippies-turned-teachers refer to students as "learners" and school lunches are full of whole grains and kale. It is a place where everyone is accepted and their differences celebrated. At least that's what it says on the brochure. Millie Maximus doesn't fit in. She is too small and her hair is too white and fine. Sometimes she wonders if she really is a Bigfoot - or Yare, as the clan call themselves. Millie loves to sing and her secret wish is that she will be discovered and sing on TV. She's insatiably curious about the "no furs" and wonders what her life would be like if she weren't so furry. Her curiosity drives her to steal a canoe and paddle across the lake, and her actions put her entire clan at risk. Jeremy Bigelow doesn't fit it. A seventh-grader at Standish Middle School, he is a nerd with single-minded passion: to find a Bigfoot. There are local legends about Bigfoot in the area, and years ago one was captured and put in a circus. When he is invited to join an underground group of Bigfoot hunters, his dreams come true: he discovers evidence that there are Bigfoot in the area. Now all he has to do is prove it! This is a wonderful adventure about friendship and finding your place in the world. Check out a video and read an excerpt from Littlest Bigfoot here.